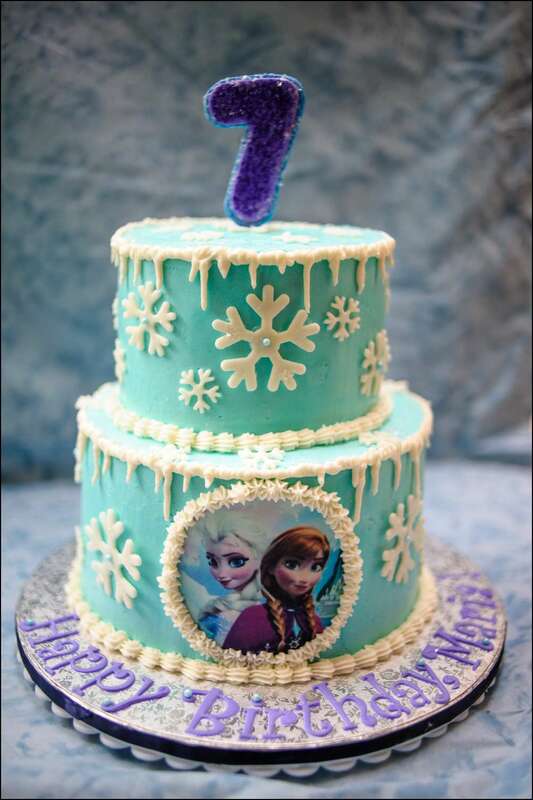 Disney Frozen Cake, Cupcakes, and Cookies! 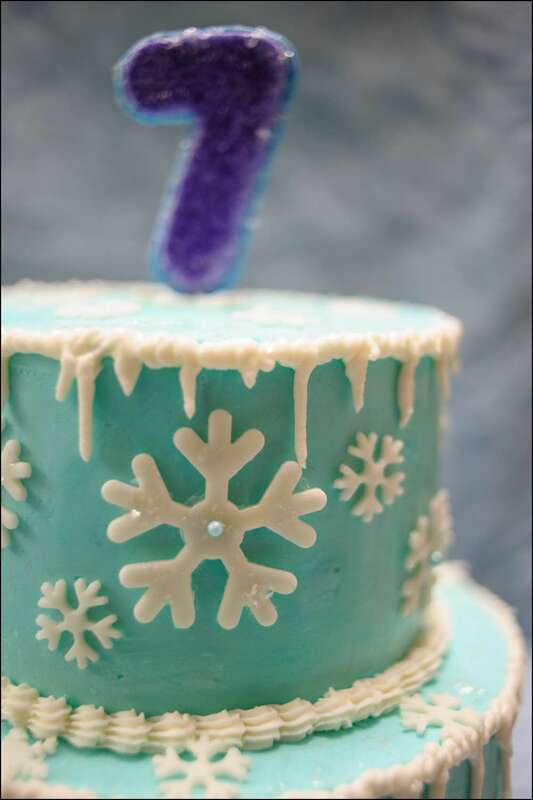 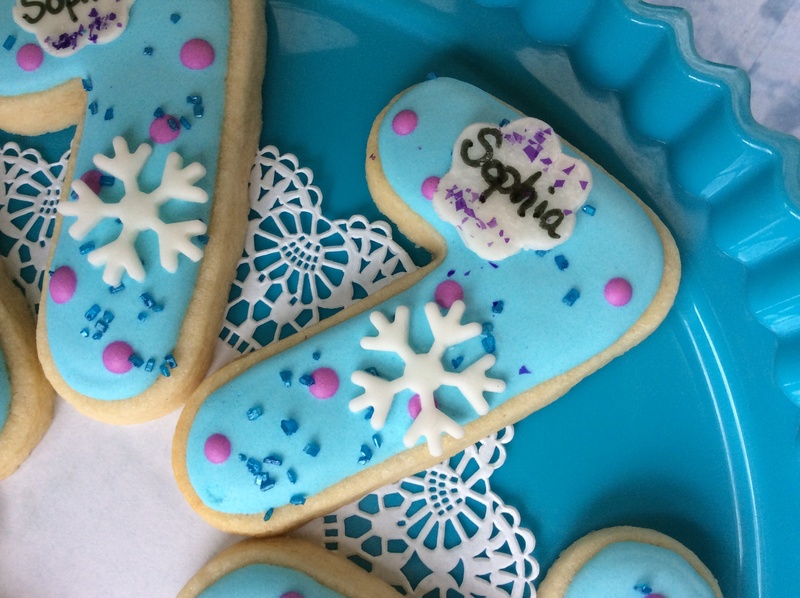 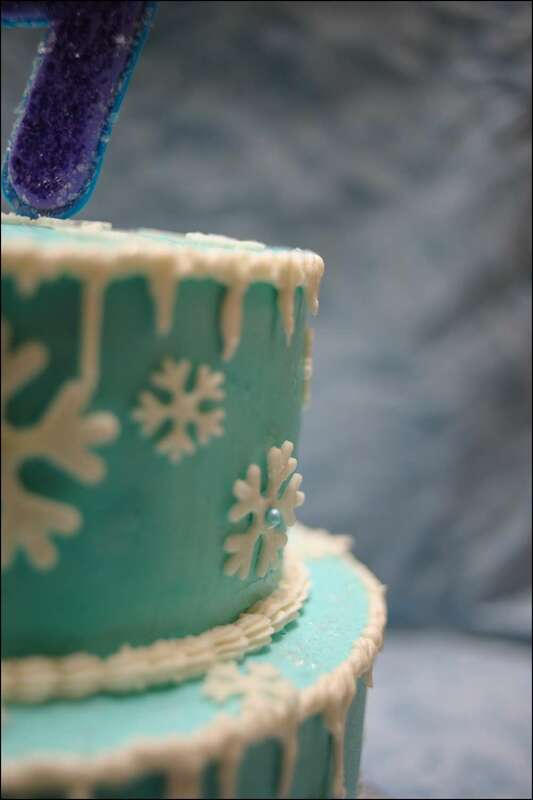 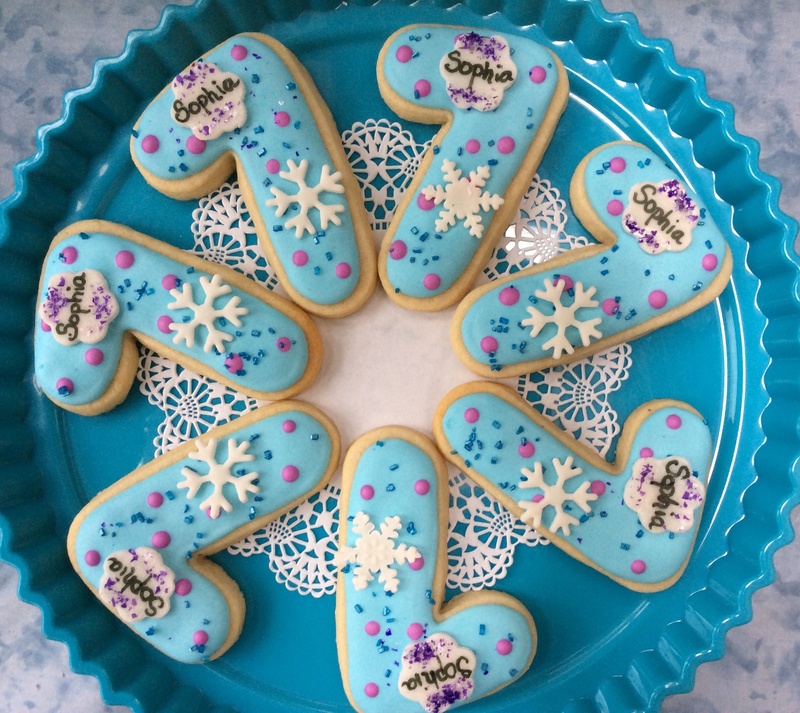 I’ve had the opportunity to create a number of Disney Frozen-themed treats this past year. 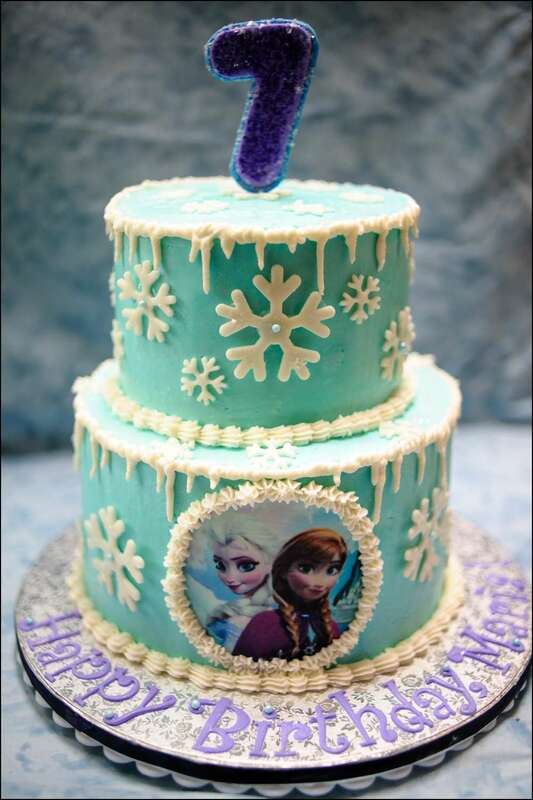 It’s a 2-tier 6″/8″ cake made from chocolate and vanilla layers and serves about 35 people. 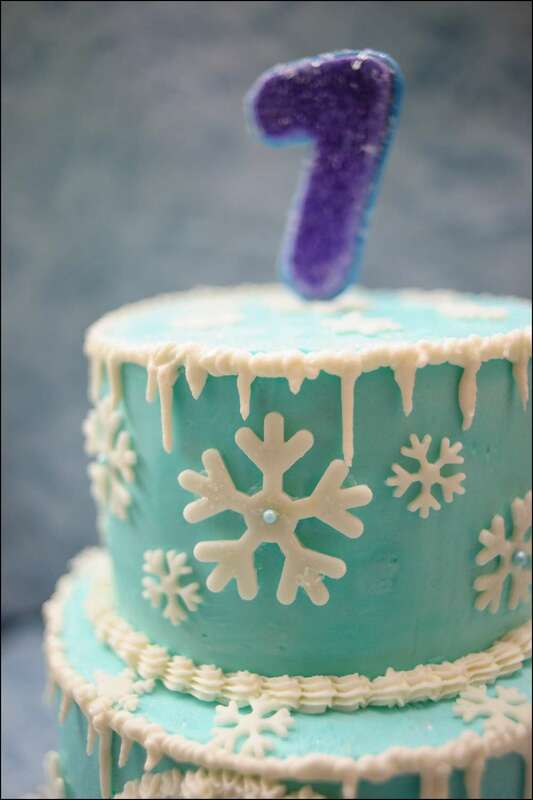 It’s iced with vanilla buttercream and the snowflakes, letters, and number are cut from homemade marshmallow fondant. 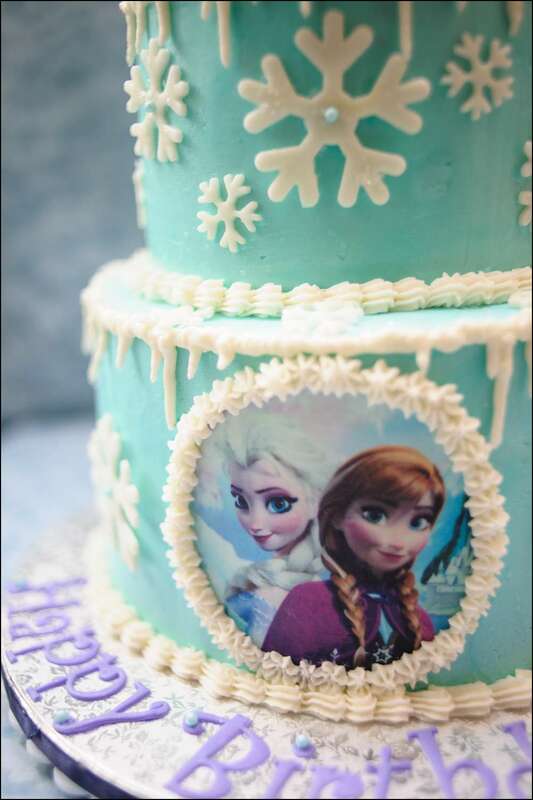 The Frozen edible image I ordered online and cut to fit the bottom tier. 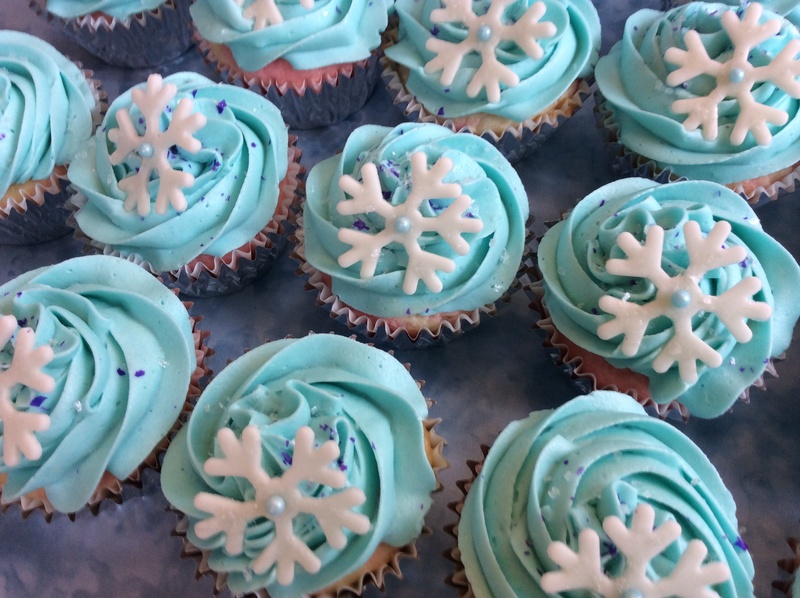 The cupcakes are vanilla and chocolate with a blue buttercream swirl, purple edible crystals, and a fondant snowflake. 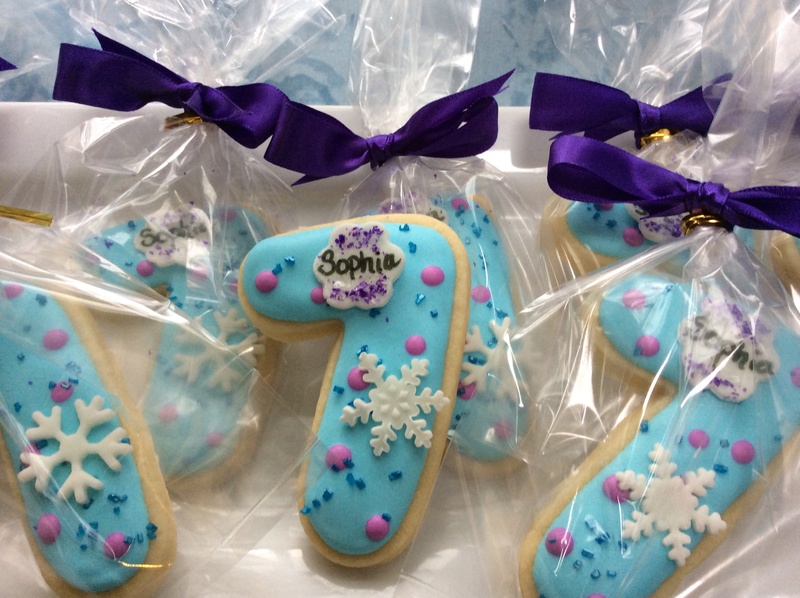 I packaged them up for Sophia, the birthday girl, to hand out at school as a special treat! 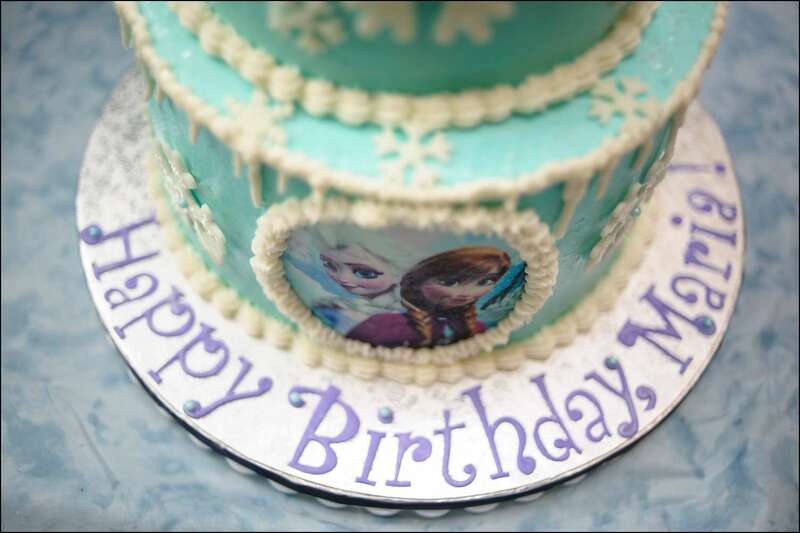 Hope you had great birthdays, Maria and Sophia! 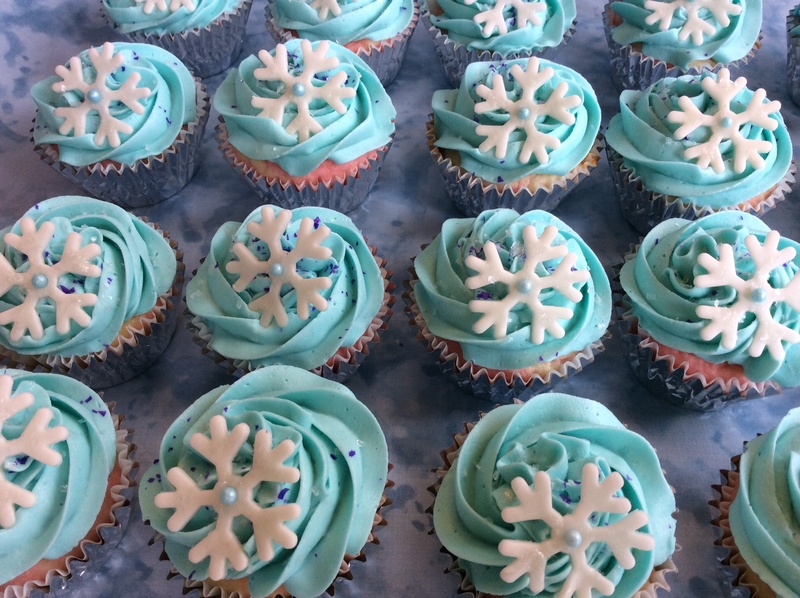 I sure had fun making your treats!